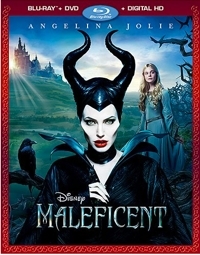 Disney’s live-action Maleficent has irked and annoyed more than a few of the generation that saw the studio’s animated Sleeping Beauty in theaters when it was released in 1959. That’s because the evil fairy Maleficent was Disney’s first larger-than-life villain, someone everyone loved to hate. Now the haters are angry that in reworking the material for a live-action feature, Disney went the Wicked route, offering up a completely sympathetic portrait of a Disney villain so that she’s really no longer recognizable as a villain. She’s both villain and hero, as Aurora proclaims. The filmmakers give Maleficent a context so that she’s not villainous, but rather a protector of the fairy world against encroachments from warlike humans. They give her a motivation for the curse she bestows on King Stefan’s newborn daughter, something more significant than the petty reason offered in the animated version: not being invited to the christening. They even tweak the story so that we see how she regrets the curse and wishes for a way to take it back. And they give her a fairy version of Kryptonite to make her potentially weak. What’s more, it all feels logical. It’s clever, really, how the filmmakers are able to turn such a menacing character into a victim, and the fun for those of us who remember the animated classic comes comes from seeing the gradual steps they take to completely transform the horned fairy and flip this fairy tale on its head. Includes: 12” tall metal locker, 26 DVDs, yearbook and notebooks, etc. There are plenty of coming of age stories, but the classics for me are still Stand by Me and A Christmas Story in film, and The Wonder Years on TV. In each, you get the full impact of adolescence, but with a terrific sense of the time period, along with plots that bring everything into sharp focus. 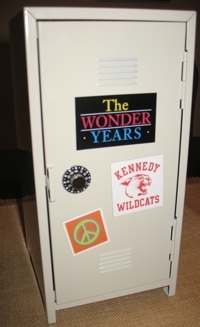 The Wonder Years is funny, it’s fresh, it’s thought provoking, it insightfully and colorfully captures the attitudes of the era, and it plays well 20 years later. Why wouldn’t it? Like Leave It to Beaver, the series’ episodes were seen from the point of view of an adolescent, and you knew you were in for an interesting ride when this half-hour comedy-drama shunned a laugh track and introduced the kind of voiceover narrator that we got in A Christmas Story—an adult version of the main character, who was 12 years old when the series began. And you knew that The Wonder Years would meet the ‘60s head-on when the pilot called for the girl-next-door’s older brother to be killed in Vietnam, and for our hero to comfort her in a scene that would culminate in a first kiss for each of them—both as characters, and as actors. John Travolta and I have at least one thing in common: Yankee Doodle Dandy was one of our favorite movies growing up. Maybe that’s because we’re Baby Boomers, and we were raised with postwar patriotism, much of which was reflected in the movies that Hollywood made. Yankee Doodle Dandy is one of the top musical biopics from Hollywood’s Golden Age, and it has an unbelievable backstory. But just as unbelievable is that this four-star movie about Broadway sensation George M. Cohan doesn’t interest the rest of my family. My wife, who’s not a Baby Boomer, thinks it’s only okay, and my kids find the flag-waving corny, the Vaudeville sequences otherworldly, and the black-and-white picture the last straw. 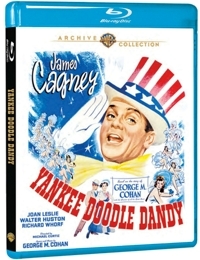 But if your family is into old-time biopics, Yankee Doodle Dandy is one of the best, and it has an interesting history. Sleeping Beauty was the last of the Disney films to use hand-inked cells, and the last film that Walt Disney personally supervised. Which is to say, Sleeping Beauty was both the last great film from the classic era of Disney animation, and a herald of even greater things to come. And though it’s one of the first trilogy of Disney princess movies (following Snow White and Cinderella), it captured the attention of young boys because it featured one of the all-time great Disney villains in Malificent—who now is the subject of a new live-action retelling on the order of Wicked. 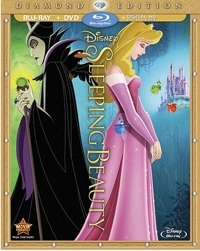 Set in the 14th century and adapted from Charles Perrault’s version of the tale (Perrault also wrote the ballet which Tchaikovsky scored), Sleeping Beauty is actually closer in structure to the fairy tale related by the Brothers Grimm, who inspired Disney’s Snow White and the Seven Dwarfs. My family liked Million Dollar Arm as much as any Disney sports movie. It has a Jerry Maguire structure, a Bollywood vibe, a likable cast, laugh-out-loud moments, and a lead actor who shows us the vulnerable flip side of his Mad Men character. 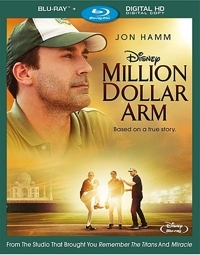 Million Dollar Arm is the eighth based-on-a-real-story sports film that Disney has made this millennium, following in the footsteps (or hoof tracks) of Secretariat (2010), Invincible (2006), Glory Road (2006), Miracle (2004), The Rookie (2002), Snow Dogs (2002), and Remember the Titans (2000). And it’s a worthy successor to those films. Jon Hamm is cast against type as sports agent J.B. Bernstein, who quit his job at a large agency to form a partnership with Ash Vasudevan (Aasif Mandvi). But they’re running out of time and the future of their struggling, fledgling business, as in Jerry Maguire, seems to rest with one player. In this case it’s an NFL star named Popo (Rey Maualuga) whom Bernstein is wooing, big-time. But at the same time, to buy time with an impatient investor named Chang (Tzi Ma), they come up with the gimmick of having a contest in India to find the two best, hardest throwing cricket players to bring to America and convert into baseball pitchers.